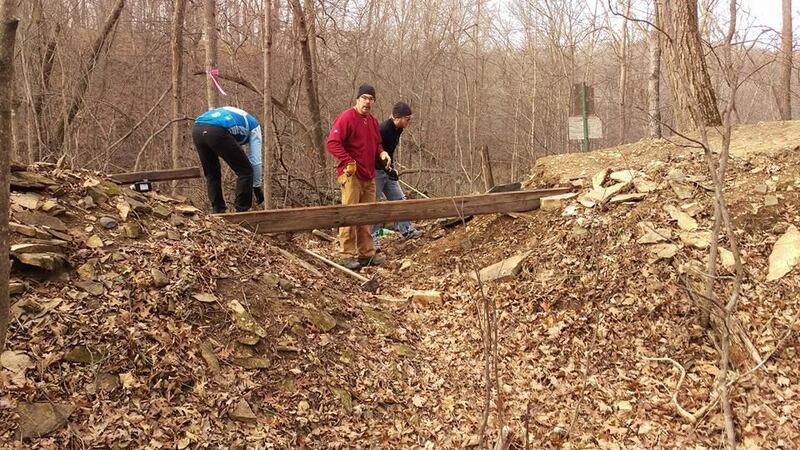 The Milltowns Trail bridge along Armstrong Road in Bridgewater Township was destroyed in the July 2013 flood. 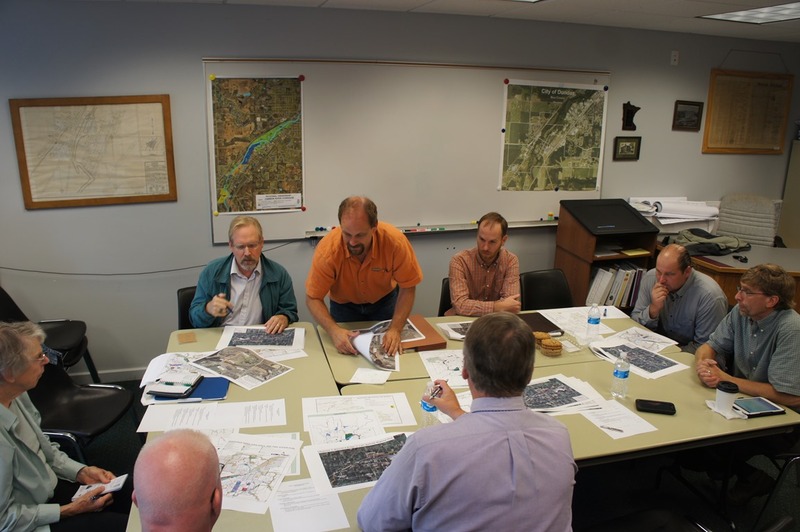 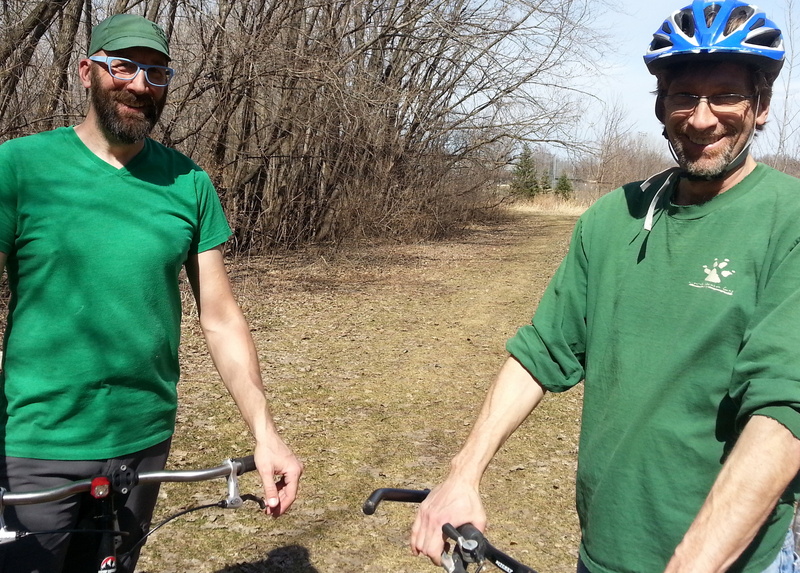 (See photos of the flood on the Locally Grown Northfield blog.) 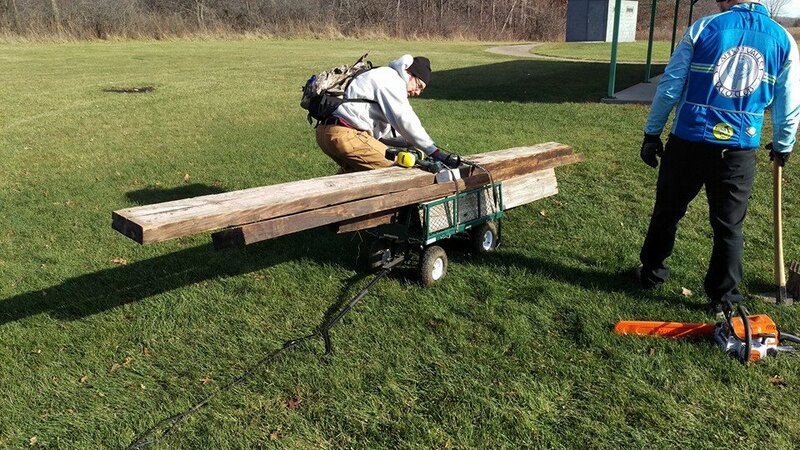 The wood was salvaged and ultimately donated to CROCT by the Minnesota DNR, thanks to Peter Hark. 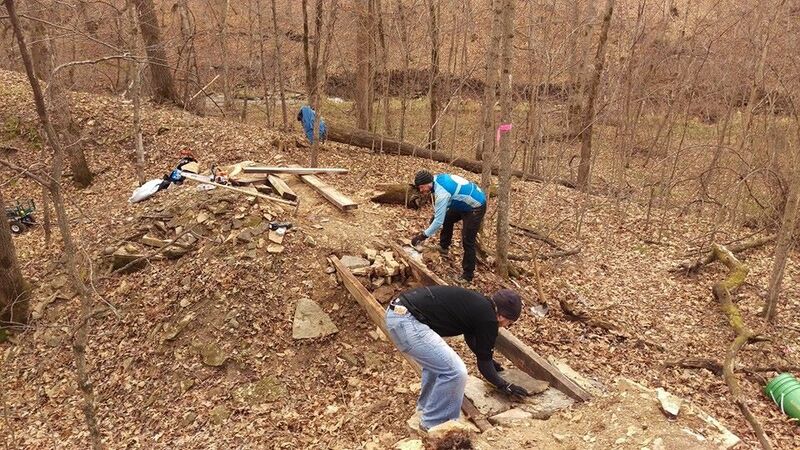 Back in May, a crew of CROCT volunteer trail workers fashioned timbers and planks from the bridge into two bridges along our Sechler Park trail. 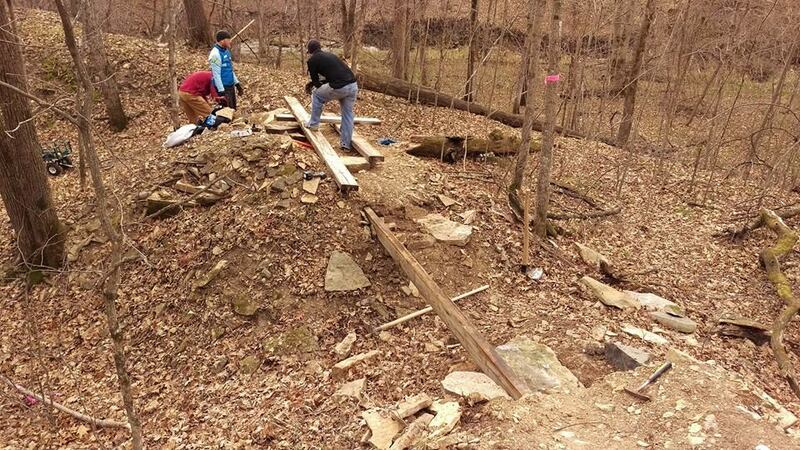 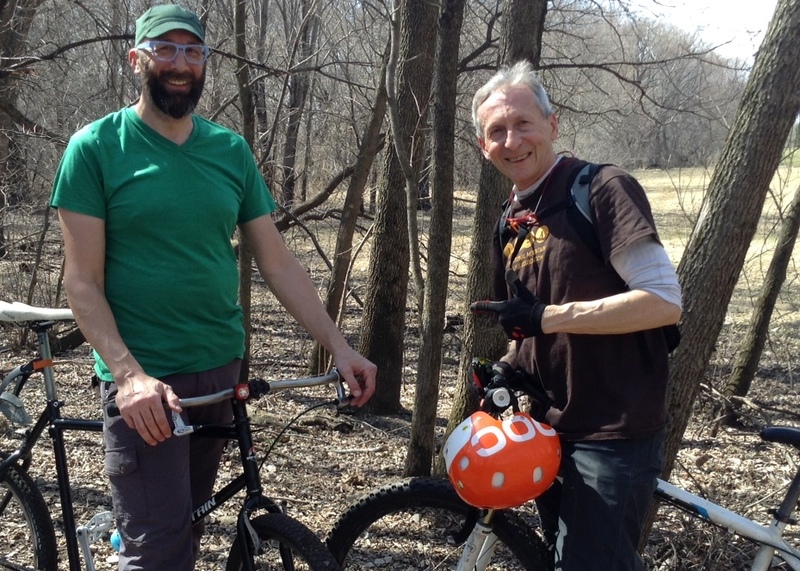 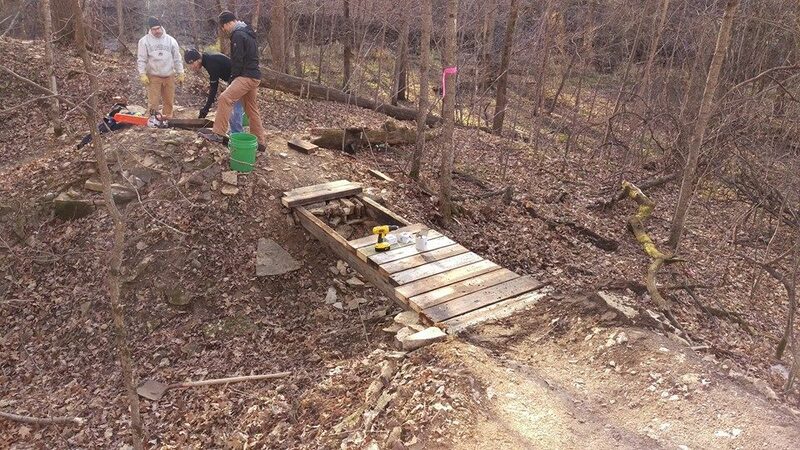 Last week, CROCT members Todd Amunrud, Kevin Herman, Marty Larson, Michael Lehmkuhl, and Galen Murray fashioned some of those timbers and planks into a bridge along a new segment of our mtb trail in Caron Park.